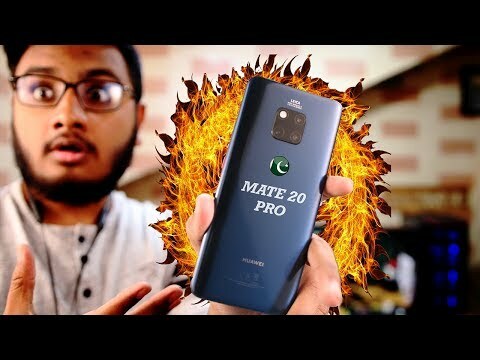 Huawei Mate 20 Pro Price in Pakistan: This mobile accompanies best quality camera, lavish show, substantial capacity and ground-breaking execution etcetera. Huawei Mate 20 Pro Price in Pakistan is Rs. 132,999 on Pricealert.pk with updated full specs and Features and you can buy from Online Shops in Pakistan. Huawei Mate 20 Pro release/launch date in Pakistan is set for November 2018. It has a staggering and alluring plan in addition to gigantic highlights. It displays a 6 inches HD LCD Capacitive touchscreen with 16M hues and multi-contact alternative while having an immaculate splendid determination of 1080 by 2160 pixels that is a treat for your eyes making the screen brilliant, sharp and dynamic. Compare the Huawei Mate 20 Pro Price in Pakistan at the lowest rates. No compelling reason to stress over any scratches or breakage as it accompanies a front glass and plane review aluminum body. Huawei Mate 20 Pro works on Android Pi which is the most recent Android form and has a cutting edge ground-breaking chipset, the Kirin 980 while being fueled by an Octa-center processor and Mali-T830 MP2 GPU for giving you the most flawlessly awesome execution for every one of your undertakings including top-notch illustrations while gaming. Check latest updated Huawei Mate 20 Pro Mobile Price in Pakistan on Pricealert.pk. The set games a splendid Triple 40 MP +20 MP in addition to the 8 MP essential camera with auto-center and LED streak, giving better picture lucidity and making it perfect for taking proficient photographs and shooting quality recordings so you can remember the recollections as distinctively as you had lived them. Huawei Mate 20 Pro likewise has a 24 MP front camera for selfie reason that upgrades the selfie encounter. This product is available in Ishopping, Mega, Homeshopping, Shophive. At ishopping.pk you can purchase Huawei Mate 20 Pro 128GB 6GB RAM Dual Sim Black for only PKR.132,999, which is 14% less than the cost in Shophive (PKR.154,999). The lowest price of Huawei Mate 20 Pro -Twilight was obtained on April 12, 2019 3:46 pm.